476 pages | 236 Color Illus. 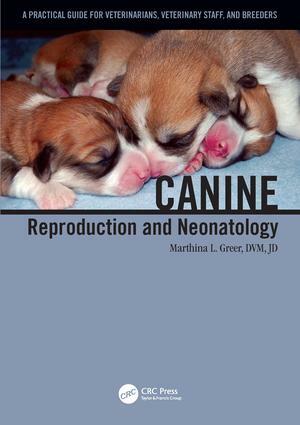 "This book provides a comprehensive description of clinical canine theriogenology from a practical and common-sense perspective. Clinical procedures are effectively detailed in step-by-step protocols. … This book has many strengths including > 200 high-quality, colored photographs, which help readers appreciate the difference between normal and abnormal reproductive conditions. The 51 well-organized appendices provide concise information in the form of algorithms, lists, tables, forms, and questionnaires that are useful for veterinarians, technical staff, and clients. An enormous benefit is that these helpful appendices are available digitally and can be downloaded, edited, and customized to meet individual needs."